This is a high detailed 1:1 scale 3d model. 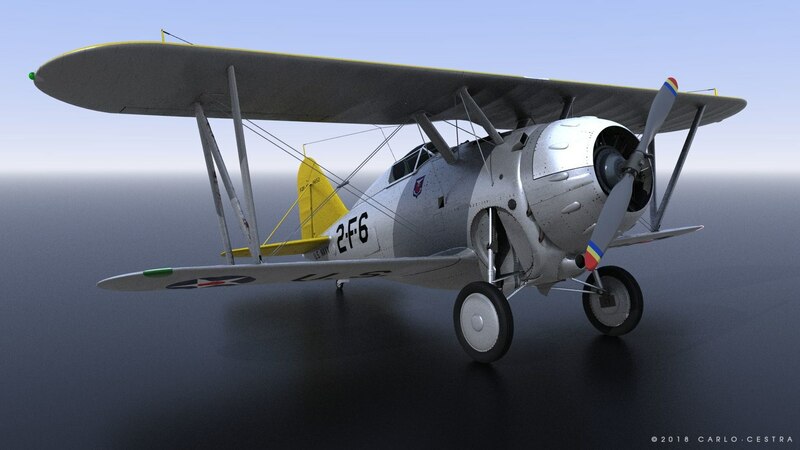 It has detailed exterior (each detail is modeled, bump map used only for some scratches), engine, cockpit with seat, commands and instruments panel. The model was created based on historical plans and documentation. No UV maps used, except one for the cockpit instruments. Each material is PBR, made with Lightwave internal material editor. No plugin used. All the textures are included in the zip file. OBJ, FBX and DAE files have no setup, so if you need to animate the airplane you have to make your own setup according to the 3d software you are using.